If you caught my earlier post for yesterday’s lip challenge choice, you will know that yesterday, I spent the day and night celebrating one of my gorgeous friends’ hen party. Of course, me being me, throughout the day I somehow got talking about makeup and lipstick, and ended up discovering my lipstick soul sister! A fabulous friend of the bride, Blanch, who I hadn’t seen for years, was wearing a gorgeous raspberry red matte lipstick and I was admiring it all day. It looked incredible on her, paired with a very simple lick of eyeliner for a beautiful statement makeup look. 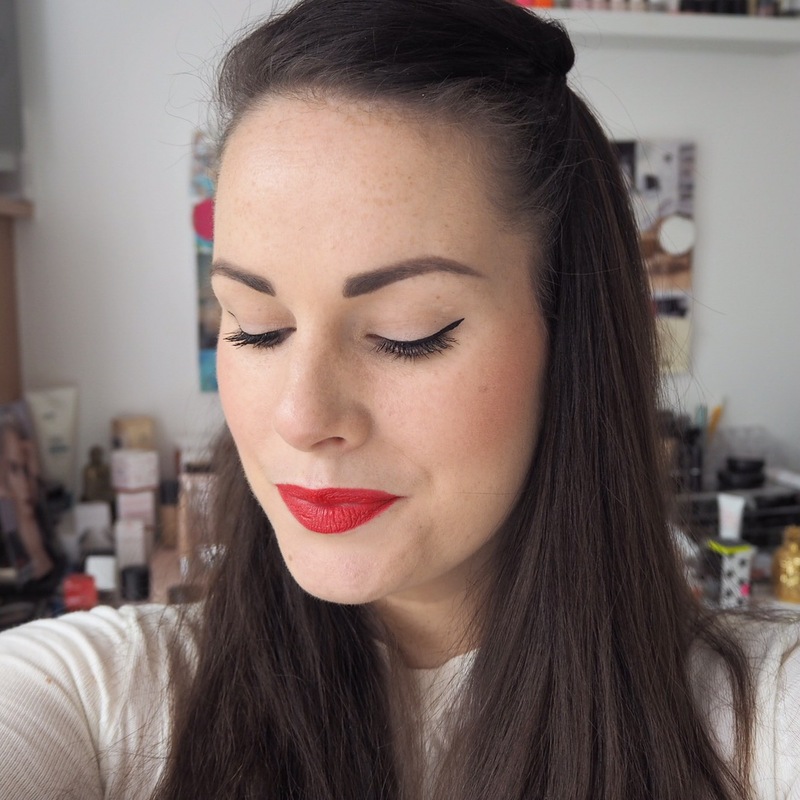 When Blanch and I finally got talking, we quickly realised our mutual obsession of all things lipstick and she told me that her lippy was one of the Max Factor lip finity matte lip colours. And what’s more, she had two in her bag (my kind of gal), so gave me one to take home and try! 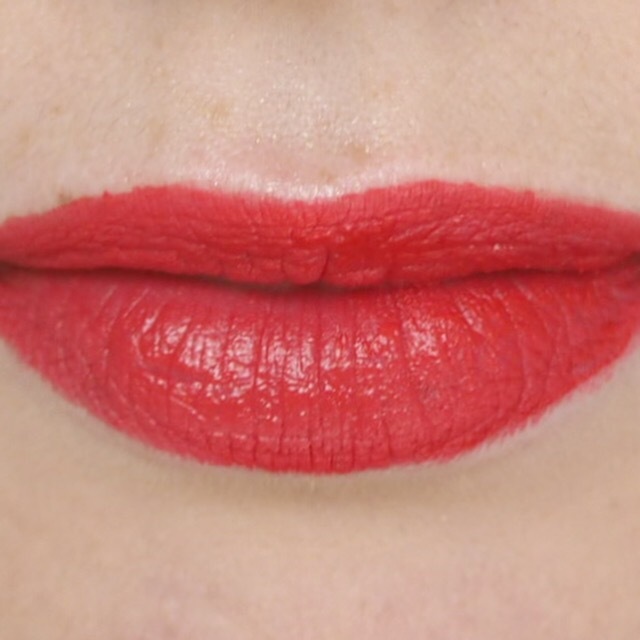 I knew I’d love the shade because it looked so fab when I saw it on Blanch yesterday. It’s a little cooler toned than I would usually wear, but has a lovely raspberry undertone which I just love. It’s similar to the Rimmel Provocalips lip colours in that it comes with a gloss to apply over it, but I didn’t have the gloss part, nor did I need it really. 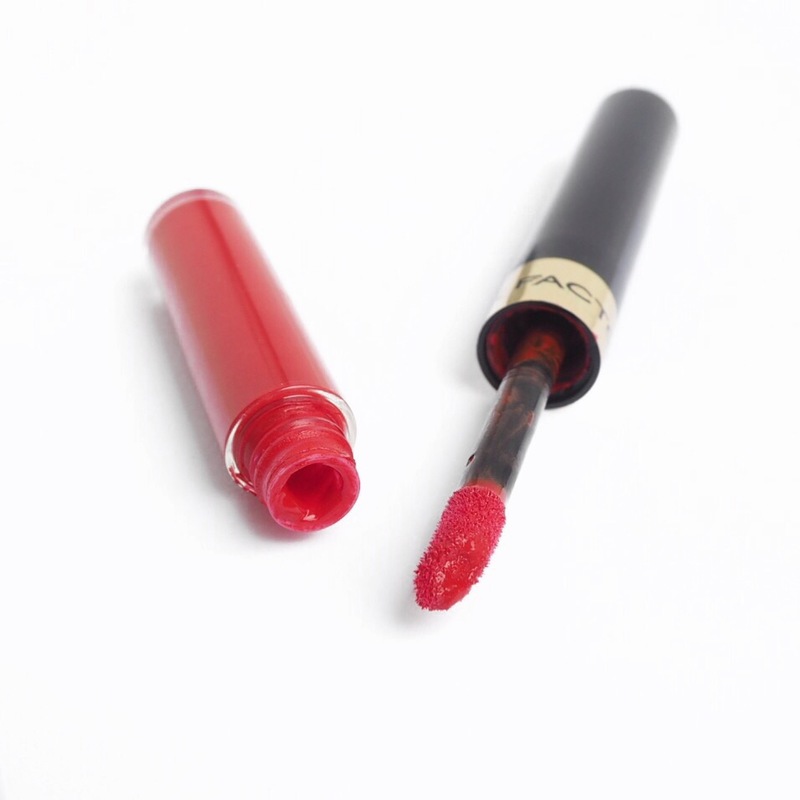 The formula is a liquid so when you apply it at first, it does take a few minutes to dry in. 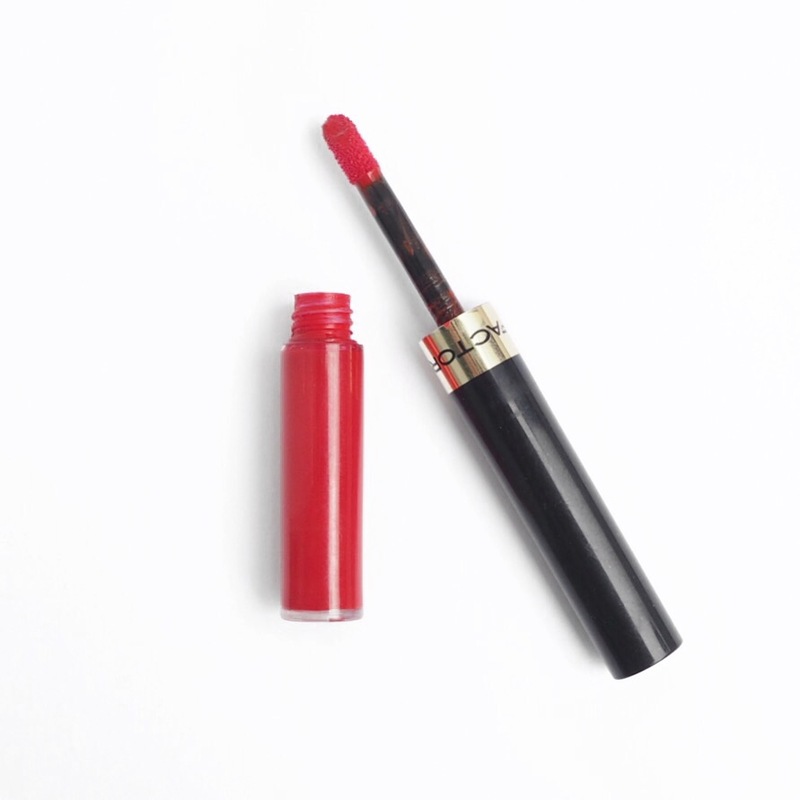 Now, I think if you were applying the gloss part over it, it would probably feel a bit softer, but because I didn’t, I definitely noticed some stickiness as it dried and couldn’t blend my lips together without it dragging the formula. 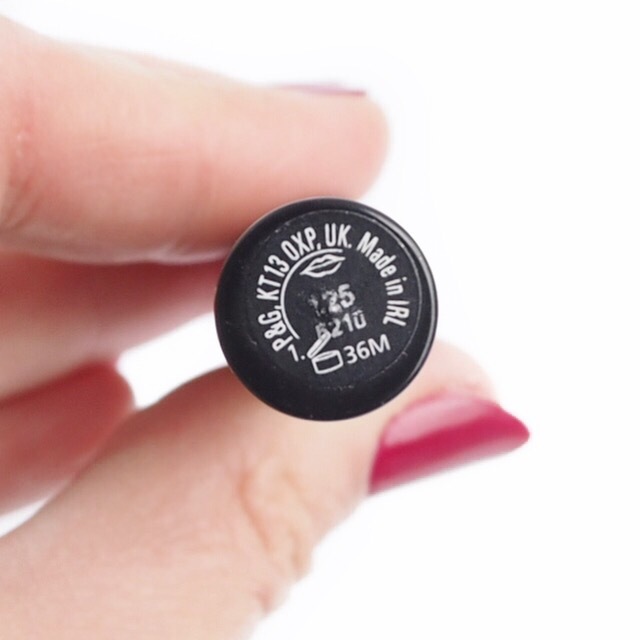 Once dry, the finish is super matte, and the lasting power is unreal! 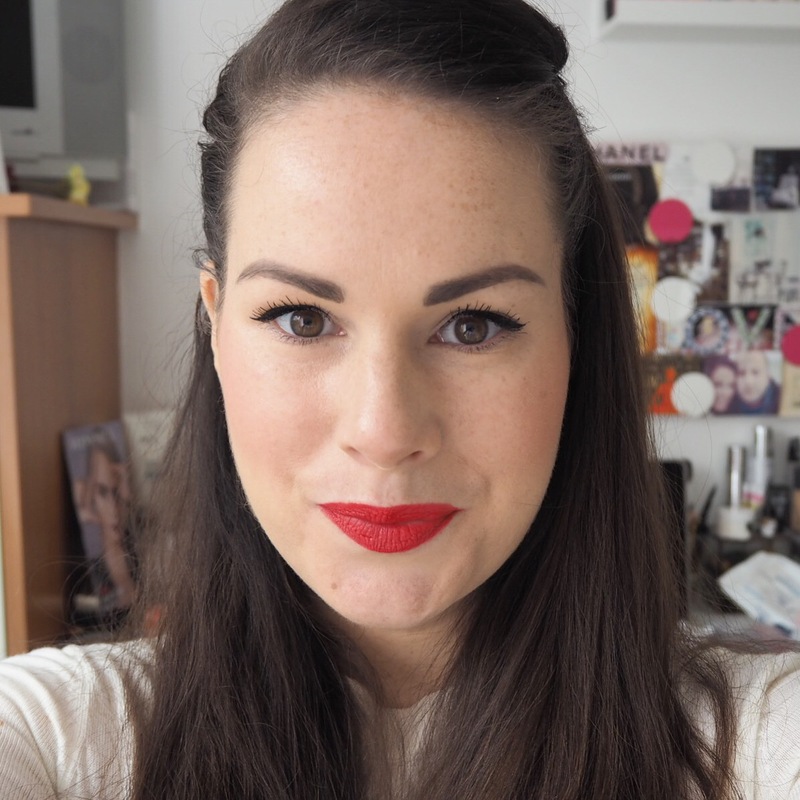 I mean, this lippy will just not budge off your lips no matter what you eat or drink – a major plus if you’re busy running around, or out for a night, and don’t want to worry about having to reapply. Overall, I really love the lipstick colour, but my lips do look a little cracked now that we’re coming to the end of today. In fairness though, that’s probably more because I have dry lips in general. It’s not creamy or hydrating, and does have a dry feel to it as you wear it, but if it’s lasting power you’re after and you don’t mind about consistency, it could be a good option. I’ve been wearing it for about eight hours now and it still looks almost as good as it did when I first applied it. I think with this, it will come down to your personal preference really. I tend to prefer creamier finishes, but did really like the longevity I got with this. Love this shade!! 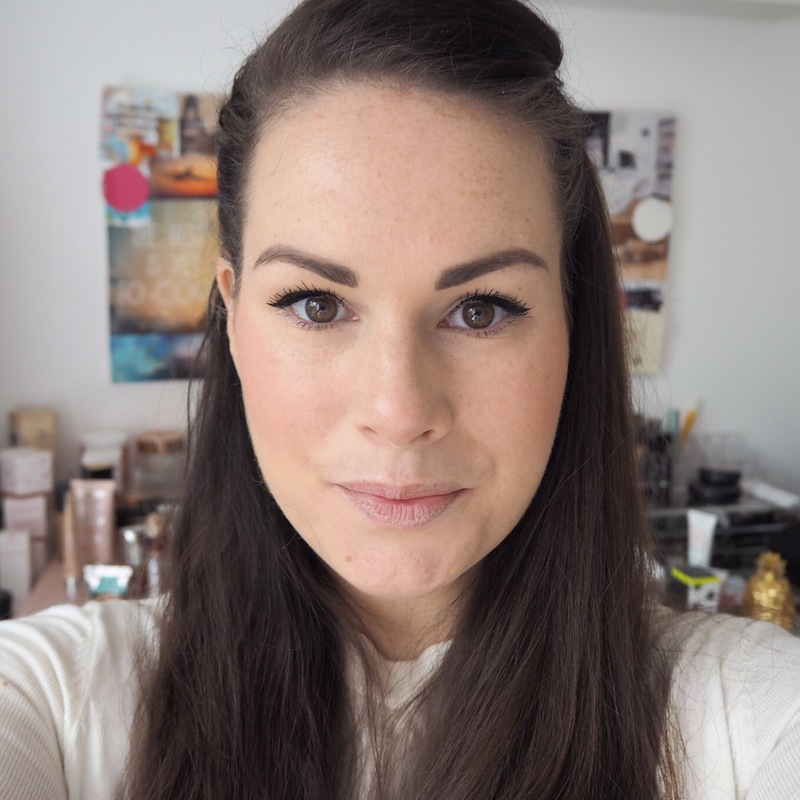 Where can you buy Max Factor products? !